For those of you who owned Nintendo’s underrated GameCube console, a game like F-Zero GX might have found its way into Christmas present piles along with the likes of Super Smash Bros. Melee, Super Mario Sunshine, Metroid Prime, Starfox Adventures, or Metal Arms: Glitch in the System. All the same, those of you who never had the privilege of owning the cubic wonder would have missed out on one of the fastest, meanest, and downright punishing racing games ever made. F-Zero GX continued the exploits of Captain Falcon and his racing rivals, on the backdrop of the most ambitious F-Zero Grand Prix to date. Featuring over 30 racers and over 25 tracks to race on, F-Zero GX was absolutely loaded to bursting with content, creative game modes, and pure, uncut difficulty. New to the series at the time, GX featured a story mode that followed Captain Falcon through nine stages of pure hell. Most of the levels task you with rather trivial tasks, such as winning a race, beating a single opponent, beating a set time, avoiding obstacles or (my personal favourite) destroying 100 rival ships. It seems the devs at Amusement Vision realised this and chose to crank it up so far that eleven is no longer significant as a pop culture reference. The missions could have been fun if the difficulty wasn’t so ridiculously high, but I felt frustration more than anything when trying to overcome these Herculean ordeals. Seriously, if Dark Souls was a racing game, it would be this. If that wasn’t enough, every mission also had a Hard and Very Hard variant appealing to a level of masochism that doesn’t even exist. Go fast or go home. Thankfully, players found a much fairer challenge in the Grand Prix mode. The layout here is exactly the same as in F-Zero X: you pick from one of three cups to begin with, each with a set of tracks that must be completed; preferably in first place each time. Beating all three on the initial difficulty levels will unlock a fourth cup (which really ramps the challenge up). Eventually you’ll unlock the malevolent Master difficulty, a nigh impossible level of torture that literally pushed your senses to the limit. As hard as it gets, you couldn’t help but feel an adrenaline rush like no other when speeding into first on Master level; knowing you’re in the process of besting one of gaming’s most ruthless challenges was utterly exhilarating, although wiping out on the last stretch of the last race was always equally maddening. The tracks themselves were unlike any racing game before it, with most being both innovative and breathtaking. 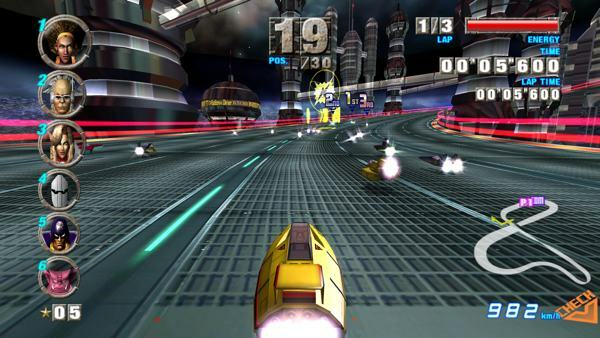 The tracks themselves were unlike any racing game before it, with most being both innovative and breathtaking. Psychedelic casinos, eco-friendly biodomes, drilling platforms over a lava field, cityscapes in the sky, space ports and meteor showers were well represented. Old favourites such as Port Town, Mute City, Big Blue and Fire Field receive new coats of paint and lashes of polish, though there are several areas that make their debut and end up standing out a good deal more. …and sounds. The composers went all-out on a blend of heavy metal and electro tunes that slotted seamlessly into their respective stages. Each and every song added a different flavour to the game and really reflected the tone of your surroundings. Fire Field’s blazing metal riffs accompanied the spewing lava and assortment of steel pipes to a T, as did the harsh electro stings found on Lightning, a track that’s set (you’ll never even believe this) amidst a raging thunderstorm. As a bonus and a nice spot of attention to detail, the music would ramp up on the final lap of each race, adding a layer of tension and a much-needed adrenaline shot for those blasting through Master difficulty. Quite fittingly, GX’s soundtrack is simply Masterful. The game also hosted a shop, a first for the series. In this shop, the player could buy new stages for story mode, as well as custom machine parts (more on this later), new ships and characters and the occasional extra song for use when racing. The currency was tickets, which could be won through reaching the podium in the Grand Prix. This provided a strong sense of progression throughout the game. Rather annoyingly, though, there are only six ships available to you initially. You had to buy the rest through the shop, with some of them commanding fairly high prices. 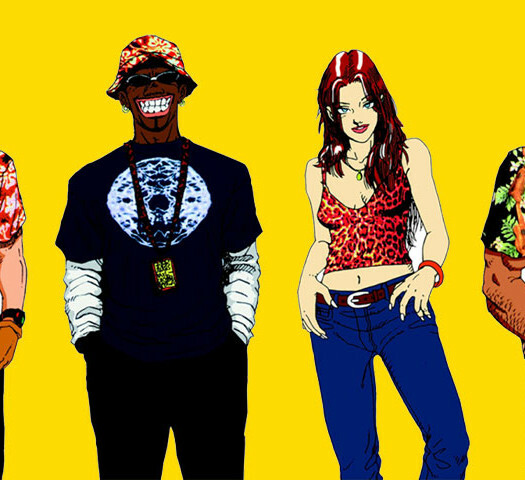 Unlike F-Zero X, it took forever to unlock them all in this game. Throw in the fact that some ships could only be unlocked by completing Story Mode on Hard and Very Hard, and you had an uphill climb on your hands. A climb equal to at least three Everests. One wrong turn and it’s game over. As mentioned before, you could buy custom ship parts in the shop. What were these for? Well, F-Zero GX also featured an awesome custom ship creator. Using the various parts bought from the shop, you could create your own lightspeed monstrosity for use in any game mode. You could even change the colour and apply decals for that extra bit of detail. Depending on what parts you used, the name of the ship would change. You thought Wild Goose or Red Gazelle sounded redundant? Try Desert Camel, Splash Mermaid or…and I’m not even kidding here…Hard Banger. The cool thing about these ships is that each individual part would alter how it controls during a race. Exactly like in F-Zero X, the ships are graded based on their body strength, boost speed and grip. On their first try, literally everyone would try to make a triple-A ship and then take it for a spin, before realising this only made the ship top-heavy, slow and incredibly hard to control. F-Zero GX is a masterful racing title that’s barely aged at all. It’s a testament to the genius within the teams at Nintendo and Sega. This was their first joint-developed game and it really shows; it’s a near-perfect racing game packed with challenge (though maybe a little too much at times) and a metric ton of replay value. This GameCube classic is worth more than just revisiting, as it’s just as fun and immersive today as it’s ever been. 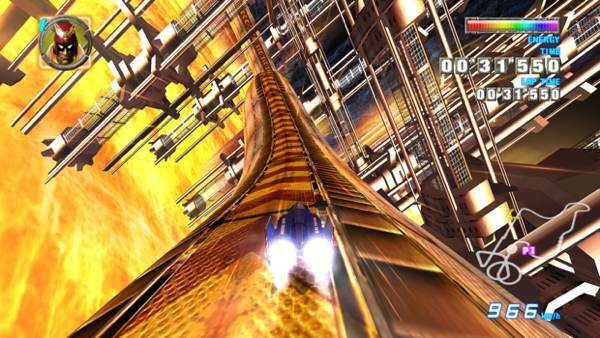 Now, Nintendo, how about that Wii U F-Zero we so desperately want you to make? Come on lads! Get to it already!